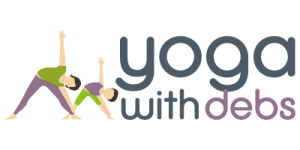 Baby yoga classes are suitable for babies 12 weeks – 9 months (approximately; when they’re on the move they progress to the next baby yoga class designed for mobile babies, then then to Toddler Yoga classes). • Engaging and bonding with your baby. • Encouraging you and your baby to find time and space for relaxation. • Using the breath to increase calm and confidence. Classes help to attune to your baby’s needs and to calm or stimulate them as appropriate with a sense of security and wellbeing. Baby yoga offers quality physical stimulation that has become essential in an urban sedentary lifestyle. Yoga provides stretching as a start to a healthy lifestyle. Baby yoga can be practiced instantly anywhere at anytime and always generates a joyful interaction. From birth babies respond positively to the stimulation of movement and touch together. 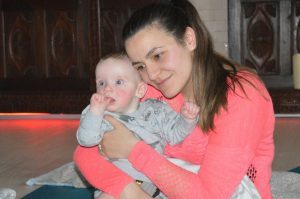 Baby yoga includes a wide range of different practices that can be combined to suit the needs of each baby or toddler through their individual development. Baby yoga offers quality physical stimulation that has become essential in an urban sedentary lifestyle. Baby yoga can be practiced instantly anywhere at anytime and always generates a joyful interaction.